mamahall: Disney countdown: 3 days to go. The Ticket. Disney countdown: 3 days to go. The Ticket. 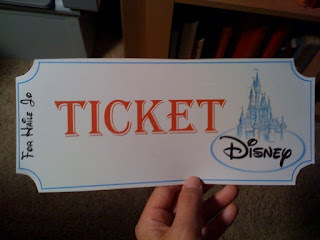 I made this "ticket" to Disney World using clip art from the Internet and the Waltograph font (again). It's simple, but trust me, she will be BLOWN AWAY!